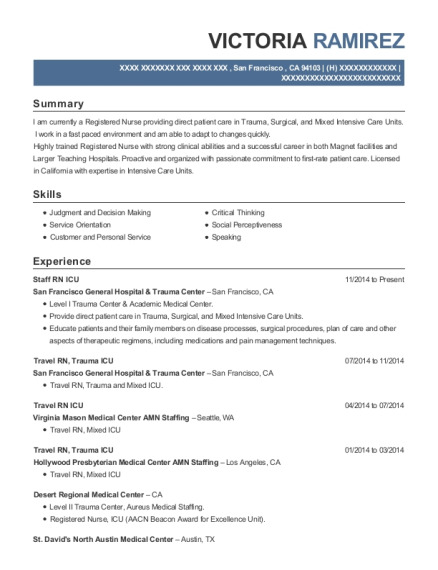 I am a reliable Registered Nurse with a strong critical care background. I am goal oriented with twenty plus years of experience in nursing . I have a positive attitude and love the teamwork approach to nursing. Assist physicians with procedures such as bronchoscopy, endoscopy, endotracheal intubation, and elective cardioversion. 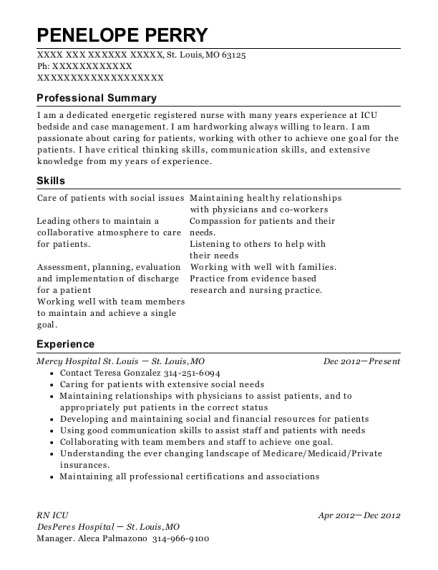 This is a resume for a RN ICU in CANA, Virginia with experience working for such companies as Forest Park Medical Center and Liquid Agents Healthcare. 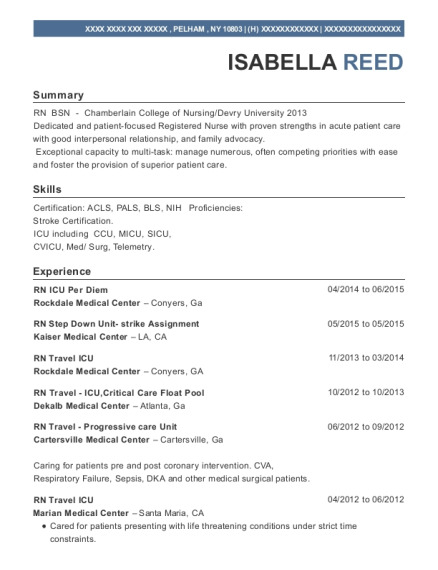 The grade for this resume is 0 and is one of hundreds of RN ICU resumes available on our site for free. 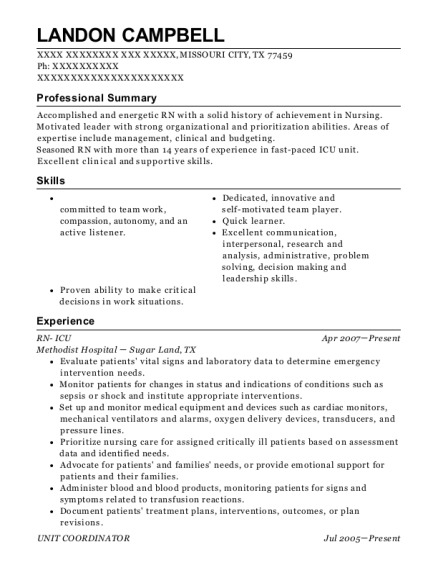 Use these resumes as templates to get help creating the best RN ICU resume.